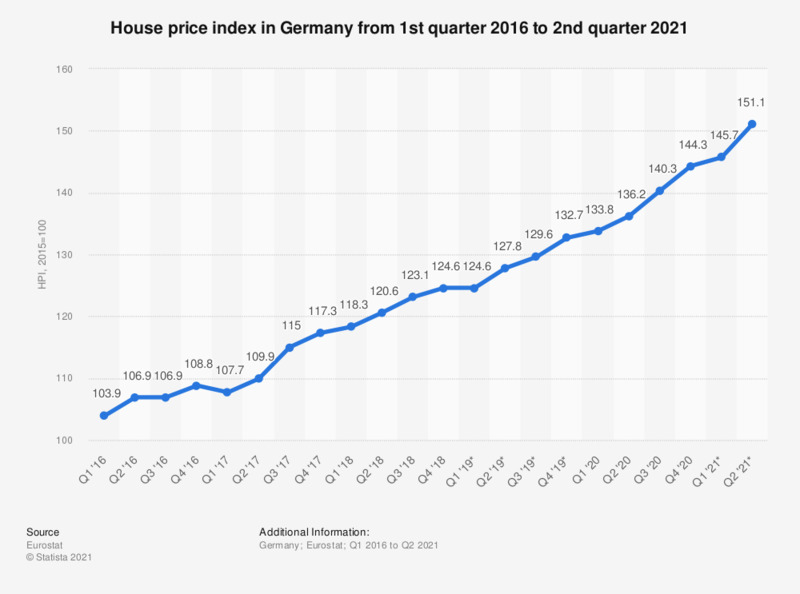 This statistic shows the house price index in Germany from the first quarter of 2016 to the second quarter of 2018. Over the period of time in this dataset the house price index of dwellings in Germany has risen fairly steadily to 115.1 as of the second quarter of 2018. The House Price Index (HPI) measures price changes of all residential properties purchased by households (flats, detached houses, terraced houses, etc. ), both new and existing, independently of their final use and their previous owners. Only market prices are considered, self-build dwellings are therefore excluded. The land component is included.